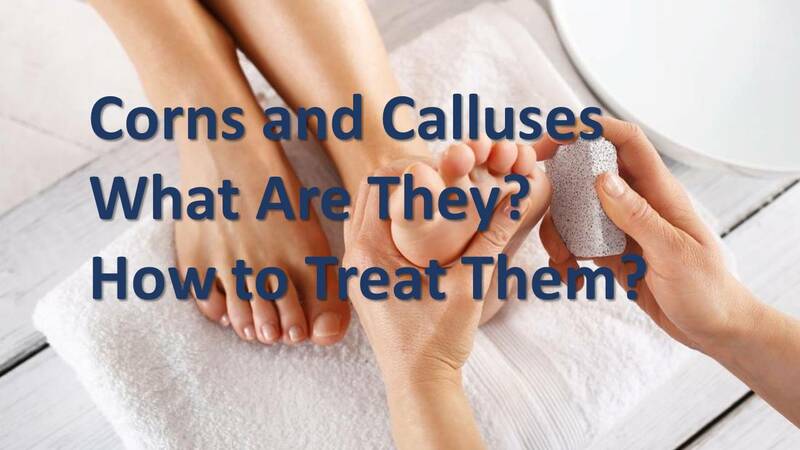 Corns and calluses are common things to find on feet, and essentially they are the same thing. A corn or a callus is a hard area of dense skin that is medically known as a hyperkeratosis. These hard spots are the skin's response to abnormal pressure. This pressure can come from external irritation like a tight shoe or the ground, internal irritation from a prominent bone, or, more commonly, a combination of the two. A corn typically describes a hyperkeratosis on top of or in between the toes, and a callus describes the same thing on the bottom or sides of the foot. As the skin becomes irritated from the pressure, the natural response is for it to thicken its top layer with more compressed skin cells called keratinocytes. As this layer continues to thicken, it protects the skin fro getting eroded away. Unfortunately, this can also lead to pain if the callus is thick enough or in the right place. This can be a good thing, because pain forces the body to reduce pressure to the area that hurts, helping to reduce the cause of the corn or callus in the first place. Unfortunately, some people have poor sensation (like diabetics) and do not feel this pain. For them, the pressure continues until the skin under the corn or callus dies from the pressure, and a wound forms. Corns and callus have been treated for centuries with simple shaving of the thick skin. This helps to reduce the discomfort, but does not address the cause of the skin thickening. To do that, the cause of the pressure must be eliminated, be it external or internal. This can be as simple as obtaining wider or deeper shoes and using padding, as well as using special shoe inserts to reduce the foot's pressure on the ground. It can also include correcting any foot deformity or bone prominence that leads to the pressure from the inside. Lastly, some people do try to use medicated corn pads to 'dissolve' the hard skin. Unfortunately, the acid in these pads does not separate hard skin form normal skin, and it is not uncommon for people to inflict a chemical burn on themselves. This can be a serious problem if one is diabetic or has poor circulation, as skin damage heals poorly in those individuals.